Uncategorized « Buckley & Associates, Inc.
Leonard Morse Hospital’s new 4 North Behavioral Health Unit is a 14 bed, inpatient unit re-designed and re-constructed from a previously unoccupied nursing unit to become a patient centered facility that fosters healing, familiarity, and self-worth, in a nonrestrictive and non-institutional setting. 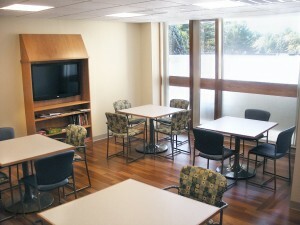 Treatment, therapy and staff rooms support an interdisciplinary care process. 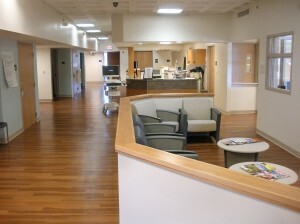 The open floor plan of the nursing station, dining and noisy activity areas encourages staff interaction with patients. 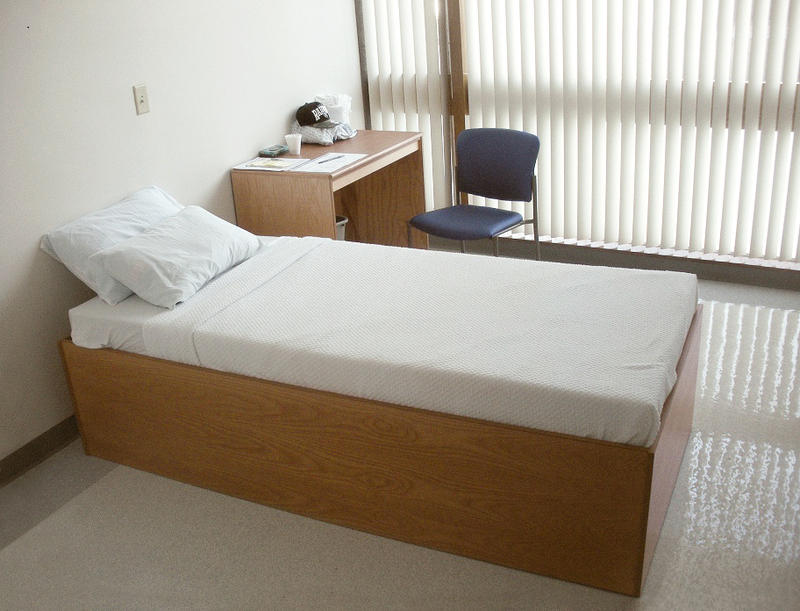 Single and double patient rooms are comfortable and bright with ample storage space and private bathrooms. Common spaces for group and quiet activities allow relaxation and control of a patient’s social environment. These areas are constructed to maximize natural sunlight from existing floor to ceiling windows around the exterior perimeter. Finishes applied to the unit work in balance to create an inviting environment for patients. 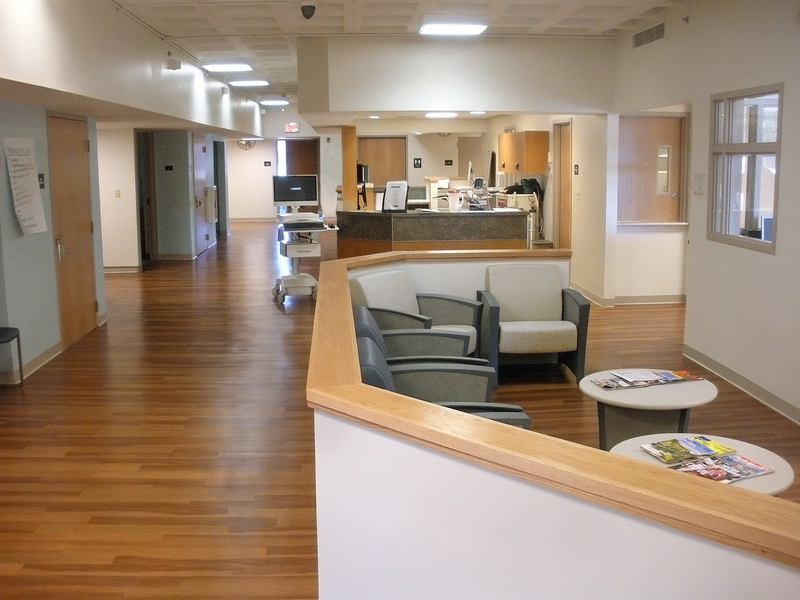 Wood grain vinyl flooring, wood grain laminates, and touches of natural oak warm the color palette of cool, calming paints and fabrics. 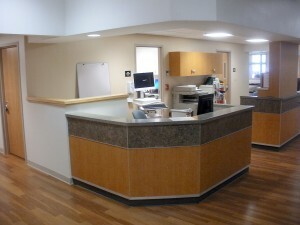 Patient privacy, dignity, security and comfort are all promoted equally in the design and construction of this space, with the purpose of creating a new standard for behavioral healthcare at MetroWest Medical Center. You are currently browsing the Buckley & Associates, Inc. weblog archives for the Uncategorized category.